Generally, the place you call home should be the place you feel safest. It’s where you go to channel your creativity and feel truly comfortable. We spend most of our time there, and there’s no reason we should feel unwelcome, so why do so many people neglect it? For some maybe their cash doesn’t stretch quite far enough, others might just never get around to it. It’s important to know how much your home can affect you; many people spend most of their time there if not all! The mood you wake up in and the mood you go to bed in make up a large part of your day, it shouldn’t be ruined by discomfort and low temperatures. If your home feels cold or unwelcoming, it could have a lot to do with your decor. For example; even the wallpapers can bring a lot to each room, you just have to know how to tie everything in together. Although, it’s not as simple as just going for your favourite colour, it’s about making a warm atmosphere for yourself; which could mean you need to do some experimenting. Most stores that offer wallpapers provide free samples, which can be a great help if you need to compare the colours to furniture and such. The decor isn’t the only issue you might be having; there are many messy people out there who struggle to find peace at home. Clutter can often be distracting and distressing, but the idea of cleaning it up might be far too off putting. If you're very busy or just hate spending your time doing chores then you always have the option of using a home cleaning service. It’s best to make sure you look after your personal space, rather than making it a living nightmare to go there. There’s nothing worse than trying to get comfortable, but the temperature isn’t allowing it. If you’re at home and trying to relax, the last thing you should be worrying about is freezing! It’s always best to make sure you block out those cold draughts and fix anywhere the cold can creep in! In some buildings, that just isn’t enough, and it might be best to invest in something new, like a kerosene heater! Keeping a warm home should be the top priority when it comes to investing, even the warmest of colours can’t keep you from shivering. Also, how often do you have to fight yourself when trying to decide between braving the cold and going to work, or staying in bed where it’s warm? Having somewhere you can enjoy being as your home is the greatest gift you can give yourself, and it’s definitely not a waste of your money! It shouldn’t be a place you dread to think about, nor a place you associate with a mess. 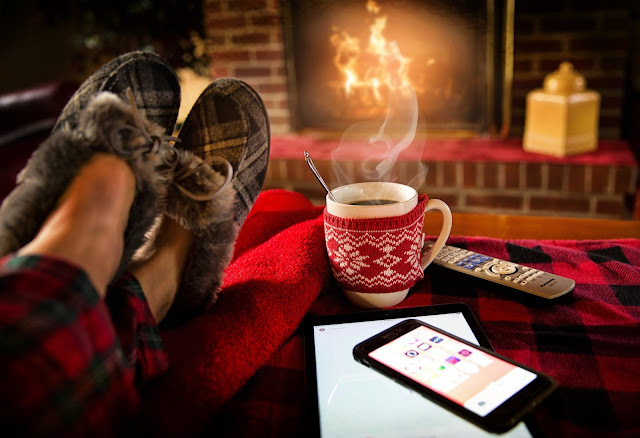 If you’re staying somewhere for a long period, you should make that extra effort to make sure it’s your very own cosy spot.